Beautiful Custom home in the gated community of Lockwood Estates overlooking the Wildfire Golf Course. 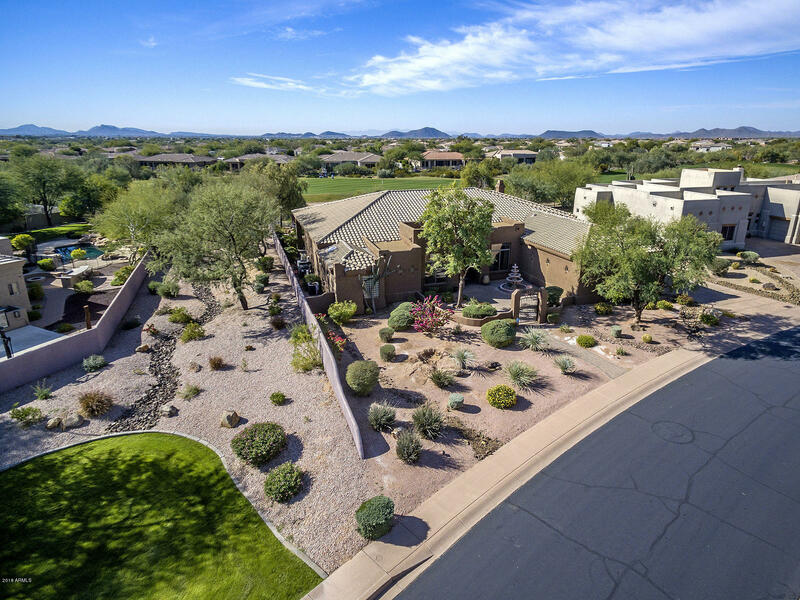 Enter in through a gated courtyard to a spacious open floorplan offering three bedrooms plus an office, 12 foot beamed ceilings, crown molding and stone facade. The kitchen offers stainless steel appliances, gas cook top, upgraded cabinets and a large kitchen island. Solid upgraded interior doors through out and alderwood wainscoting and built in book case in the den. The large covered back patio leads to a backyard oasis complete with a heated pool, pavers, built in BBQ with bar seating, fire pit, putting green and amazing views.This home is a must see! !